Are you ready to reset your body and your habits? Do you struggle with nagging cravings, for things like sugar, that sabotage your efforts to eat healthfully? Have you recently been diagnosed with pre-diabetes or type 2 diabetes? Have you tried diets that haven’t brought you the results you are looking for? If we haven’t met, I am Caitlin Russell, Registered Dietitian, Nutritionist, Holistic Health Coach, and founder of Caitlin Russell Nutrition. I offer this 28-Day reset to help you rethink food and reshape your body from the inside out! WHAT’S THE DIFFERENCE BETWEEN A DIET AND A RESET? This 28-Day reset isn’t about starving your body, fasting, juicing, eating strange food combinations, or taking lots of supplements. It’s about supporting your body by focusing on quality proteins, healthy fats, and energy-sustaining carbohydrates. 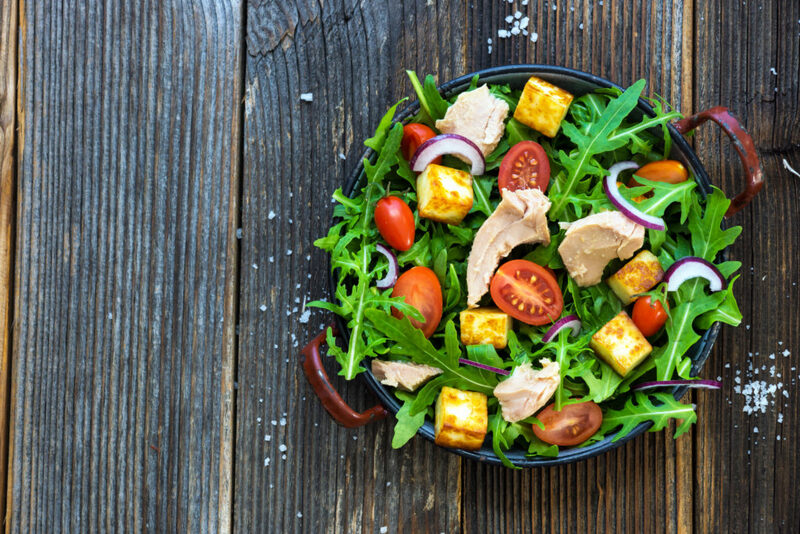 This reset will help you explore what foods work best (and which don’t) to give you optimum energy, kickstart changes in your body, help regulate blood sugar issues, and reduce your waistline. Toxins are stored in fat cells. The more toxins stored in your body, the more fat your body needs to hold on to. Once you remove the toxins, your body will be able to release excess weight. This simple reset will make a big difference in how you feel and look – in just 28 days! Will I really see results in just 28 days? When you eat foods that aren’t right for your body, you may feel bloated, sluggish and lethargic. The 28-Day Reset gives you the results you are looking for because you will be removing foods that cause inflammation in the body, like bloating. By removing inflammatory foods, the cells in your body will stop holding onto fat. 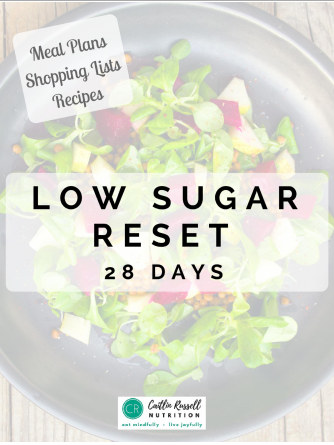 What results can I expect from this 28-Day Reset? Determine hidden food sensitivities that cause a blood sugar roller coaster and weight loss resistance. Learn which foods fuel your body, so you can bring your A-game to everything you do. Reduce inflammation and digestive issues, which is the major cause of bloating, many illnesses and disease. Reduce stress. Cleaning up your diet for 28 days will have a powerful impact on your emotional state. 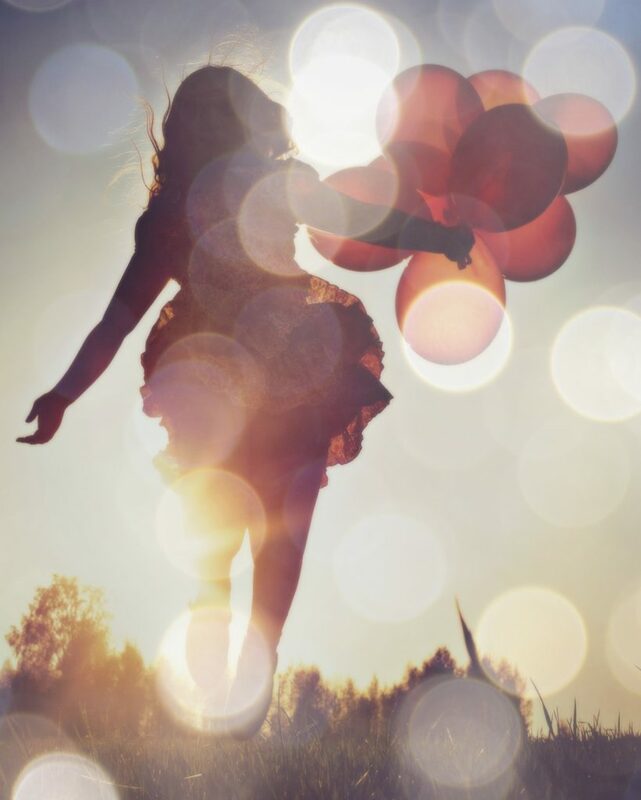 As stress melts away, your metabolism will be able to function optimally. Life gets in the way of a healthy lifestyle. While we might be motivated when we begin, it’s easy to fall back into old habits. Even though I believe in a simple and gentle approach, changing your habits can be tough to do on your own. This reset is designed to give you the support you need as you go through the process. Having experienced my own health challenges, I often wished I had a coach I could go to for direction. Sure there are plenty of similar programs out there, but they don’t offer the support and accountability of an experienced coach to help guide you past what keeps you stuck. A reset is a very effective way to create new habits, but most people don’t know how to effectively use it to create lasting changes. This reset is different! Look and feel slimmer in that new pair of jeans or bathing suit! Say good-bye to cravings, unwanted weight gain, blood sugar regulation issues and bloating for good. 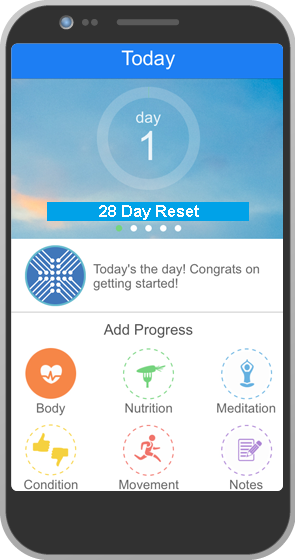 Clients love using the 28-Day Reset Smartphone App! You’ll get started on the right path and will be able to ask any questions you have before you start on day one. Filled with everything you’ll need for a successful reset including daily meal plans, shopping lists and delicious recipes. Gain immediate access once you sign up. No crazy juice fasts here! You’ll be able to track your progress at the touch of your finger! The app corresponds with your ebook and includes your plan guidelines, detailed daily meal plans, recipes, shopping lists and more. It’s easy-to-use and makes it a snap to track your progress and achieve better results. You’ll know exactly what to buy and cook. Using the app, you can text Caitlin questions, send her photos of your meals, and receive inspiring daily message and reminders. She can monitor your progress, view the data you track, and offer personalized guidance and support. We’ll talk about what the right next step is for you so that you can extend the benefits of the reset. WILL I BE HUNGRY ON THE RESET? Not at all. During the 28 days, you won’t need to take the week off from work, own a juicer or fancy kitchen gadgets or deny yourself the pleasure of delicious food. 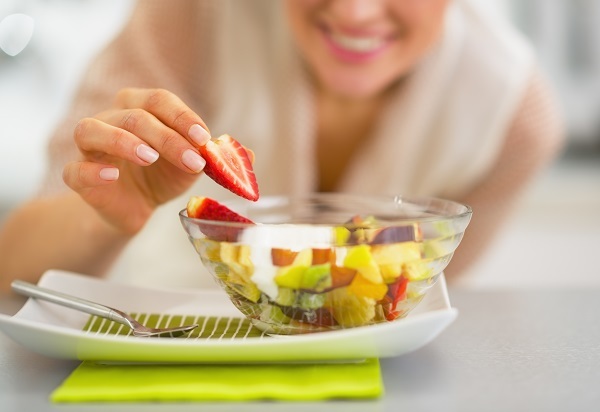 You may experience some physiological changes the first two days but you can always add in a snack from the meal plans. The reset has recipes that will likely become favorites of yours, even after the 28 days. ARE THERE FOODS THAT AREN’T ALLOWED ON THE RESET? No food should be off-limits unless you are allergic or sensitive to it. However, these 28 days are meant to give your body a rest from common inflammatory foods. These include gluten, refined carbohydrates, caffeine, artificial sweeteners, and sugar. This does not mean you can never have them again. These 28 days will be full of real, nourishing food and many participants continue eating this way long after the reset is over due to how well they feel. It’s time to stop procrastinating and put your needs first. 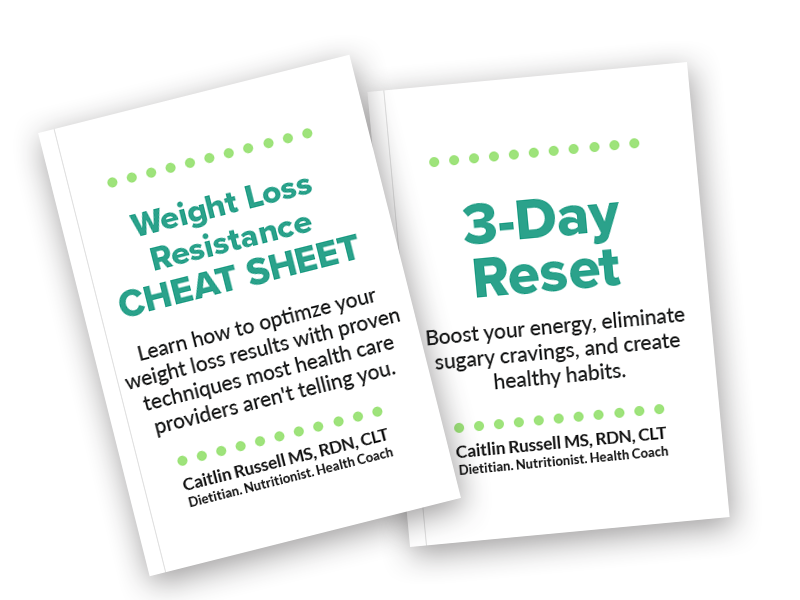 Book your initial session for your very own “28-Day Low Sugar Reset” below! Below, click on a day and time that works best for your initial consultation. Enter your name, phone number, and email. All information is kept strictly confidential. You will receive an email confirmation with details for your 28-Day Reset. Disclaimer: Once purchased, no refunds will be given. Our no-refund policy is due to the online nature of the materials as well as the time and energy spent developing this program. The contents of this program are based on the knowledge, opinions, and experience of Caitlin Russell unless otherwise noted. The information contained in the program does not replace a one-on-one relationship with a qualified healthcare professional and should not be considered medical advice. Caitlin encourages you to make health care decisions based on your research and in partnership with a qualified health care professional. Most importantly, make sure to listen to your body.